EC 531 offers straightforward control and monitoring via floats or advanced control via a continuous level signal. 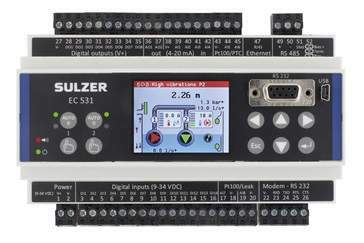 EC 531 is also equipped with smart VFD control, including PID and BEP, which save energy, and equipment costs. To find out how to save money by installing a Sulzer EC 531 on your existing pumping stations, please contact Sulzer.